The passing game and also the running game of Channelview quarterback Jalen Hurts will put La Porte to the test in Friday’s playoff-deciding game. Hurts has run for 854 yards and scored over 20 touchdowns on the year, like this one he scored against Deer Park. One win – and they’re in. The Channelview Falcons last regular season game could not come in more dramatic fashion. A victory over the La Porte Bulldogs will lift the Channelview Falcons to their first playoff berth in over 20 years. 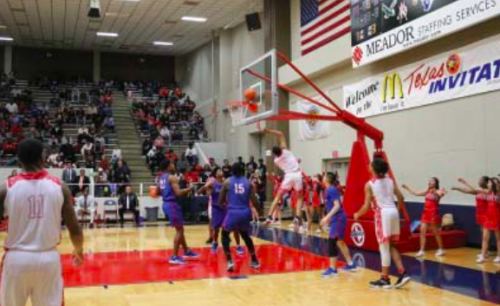 However, a loss would eliminate the Falcons, who are one of four teams vying for three remaining post-season berths in District 21-6A. 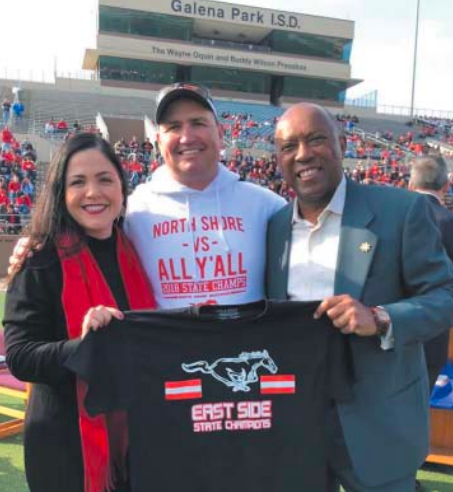 North Shore is sitting alone in first place with a 4-1 record, while Channelview, Deer Park and La Porte all have 3-2 records going into the final week. Beaumont West Brook defeated Port Arthur Memorial to give the Bruins a 3-3 slate and some needed help to clinch a playoff spot – which moves the spotlight solely on the Falcons game against La Porte at 7 p.m. Friday at Ray Maddry Memorial Stadium. Although the Falcons handed North Shore its only district defeat, it is Channelview’s losses to Deer Park and West Brook that make Friday’s an all-or-nothing contest. A Channelview win makes the West Brook loss a distant memory, but a win by La Porte moves the Bruins into the postseason since they had defeated Channelview. Earlier this season, Channelview Head Coach Averion Hurts remarked that the district playoff race could go down to the wire. Channelview has enjoyed its most successful seasons in years, with a 7-2 overall record. The key to that success has been the Falcons highpowered offensive attack – led by Hurts’ youngest son Jalen at quarterback and runningback Chris Jefferson. This season, Channelview’s offense leads 21-6A and is ranked third in the area with 4,783 total yards. Hurts, a junior, and Jefferson, a senior, have caught the eyes of many college recruiters. Hurts has been a dual threat at quarterback that can throw precision passes and also burn defenses with his running ability. He has thrown for 2,340 yards, ran for 854 yards and scored 20 touchdowns. Jefferson, who was last year’s district MVP, is having another stellar season with 1,405 yards rushing and 22 touchdowns. As far as the receiving corps, Hurts likes to spread the ball around to several targets. Etterious Giles is the team’s leading receiver with 706 yards and five touchdowns, while Bryant Valentine also had five touchdowns and 507 total yards. Jefferson has also proven to be a more than capable receiver out of the backfield with 461 yards. Anthony Means is also a pass-catching threat with three touchdowns. On defense, the Falcons will need to brace for a strong dose of the La Porte running game, as the Bulldogs have churned out more than 2,300 yards on the ground this season. Austin Upshaw is their leading rusher with 802 yards and eight touchdowns, while Britt Grant is an equally effective runner with 730 yards and seven touchdowns. 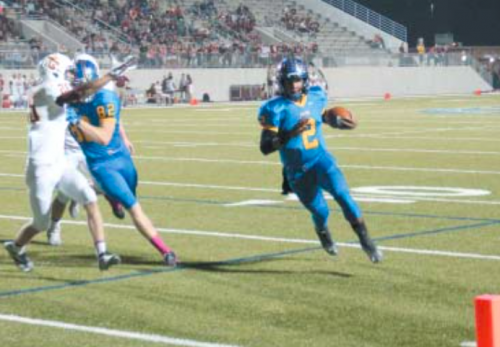 If Channelview’s high-scoring offense holds true to form and with the home crowd behind them, the shades of the 1993 Channelview Falcon playoff run could become a reality.